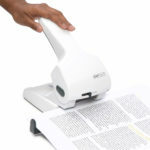 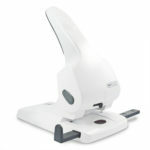 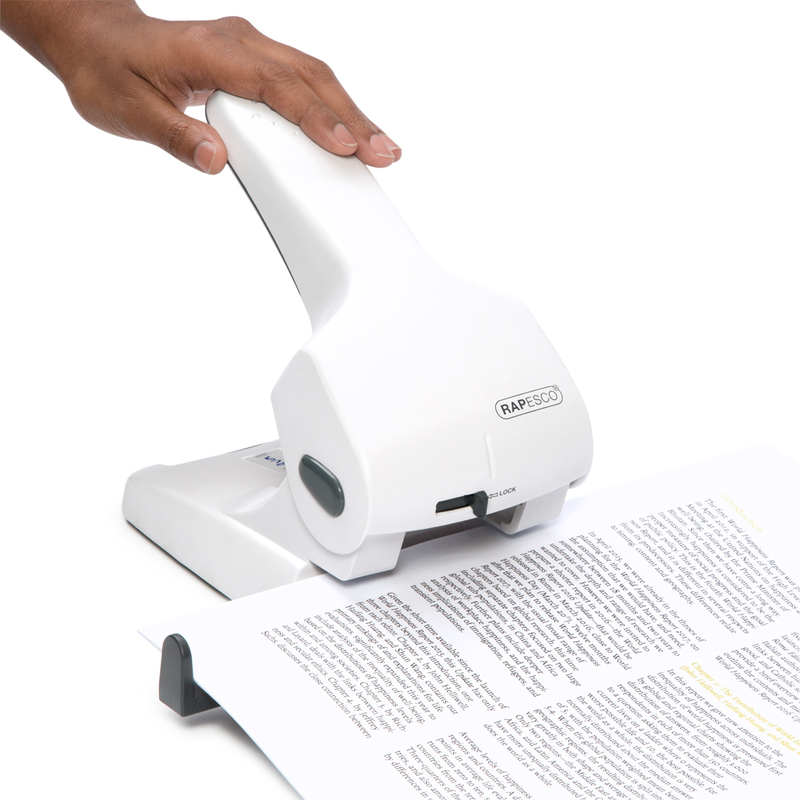 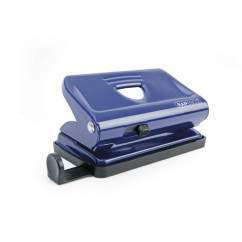 Zero-65; a sleek, stylish and highly capable heavy duty hole punch with a 65 sheet (80gsm) capacity in a white finish. 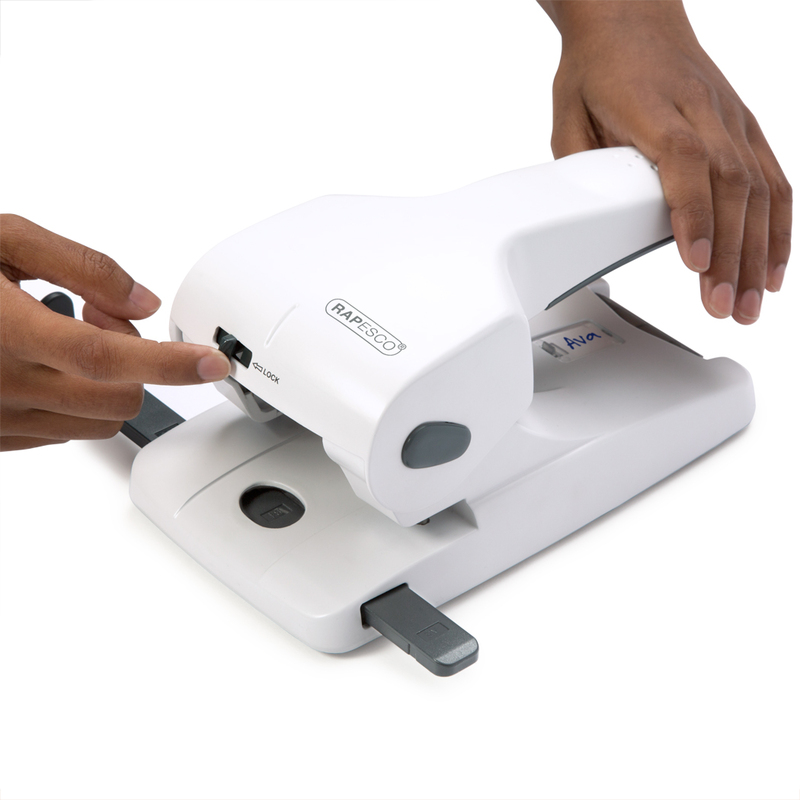 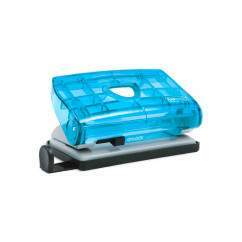 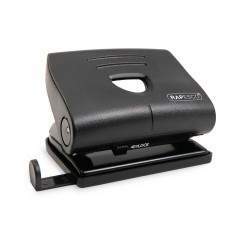 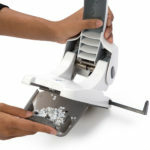 This quality hole punch has an extended single-piece handle for ease of use and maximum leverage and is loaded with features including a personalisation window, adjustable paper guide, a rubberised flip-open confetti tray and a handle lock-down switch that makes the Zero-65 easy to store. 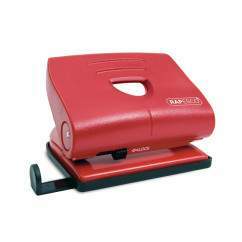 Our range of Zero hole punches lead the way in design and manufacturing innovation. 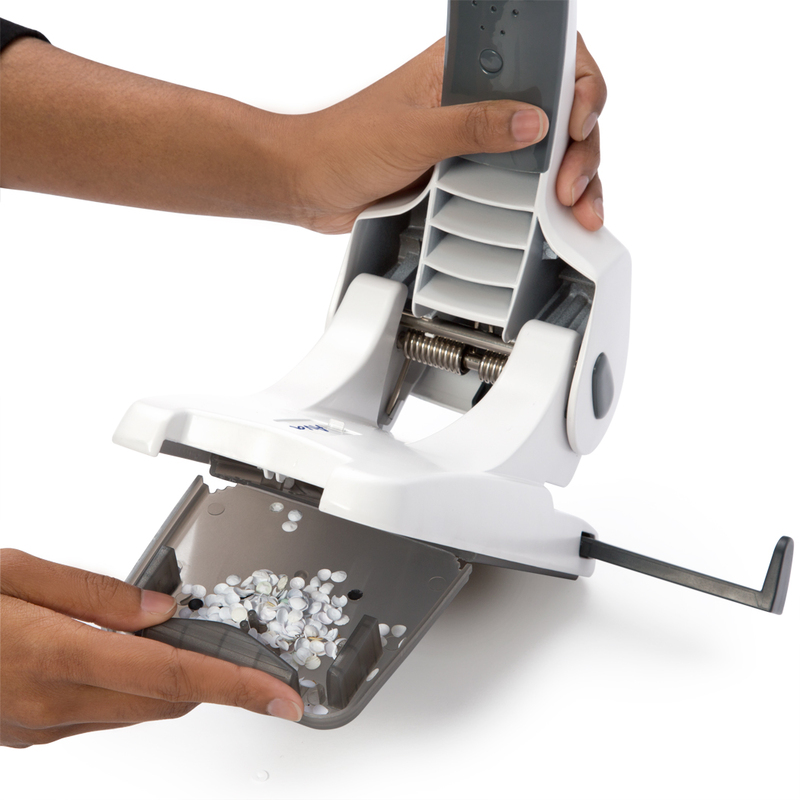 The Zero-65 is an ergonomic punch with elegant lines that makes light work of demanding punching jobs. Manufactured from high quality materials to exacting standards; the Zero-65 is built to perform at a high level, again and again and is backed by our 15 year guarantee.